Caption slip reads: "Photographer: Paegel. Date: 22-08-1958. Reporter: Donaghue. Assignment: Russians. 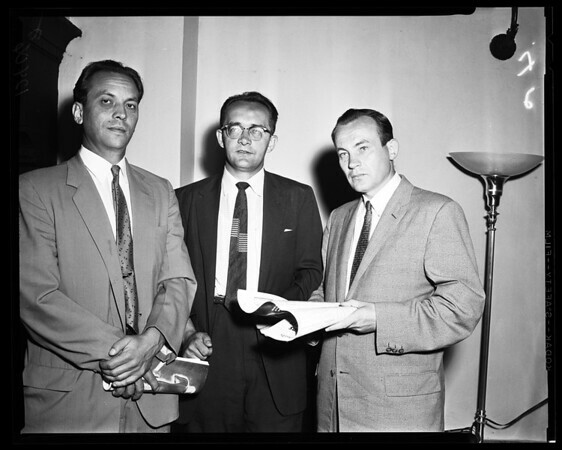 4/5: L to R - Lenoed Rumyanysev, Yure Gvozdiv and Michael Gribkov, attache of the Office of Commercial Counselors, Soviet Embassy, Washington, D.C."